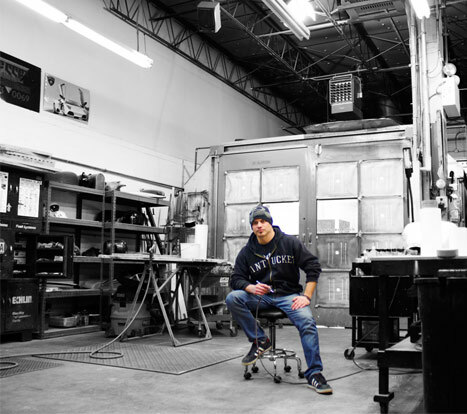 Owner and operator of Jesse’s Custom Design, Jesse Acciacca has a vast history working in the custom paint and airbrush industry. A Boston native with honors from the Butera School of Art his history as an artist spans his lifetime. Jesse’s work has been seen from NHL goalie masks, one of which is on display in the Hockey Hall of Fame as well as on the helmets of Olympic athletes. More of his notable clients include Vince Neil of Mötley Crüe, Jeff Keith of Tesla and other high profile rock musicians. His work has been published in car, truck and motorcycle magazines, calendars and seen on television specials. A diverse artist, Jesse is always building and expanding his portfolio. From custom movie props in feature films to wedding dresses, there is nothing Jesse’s talent cannot customize. 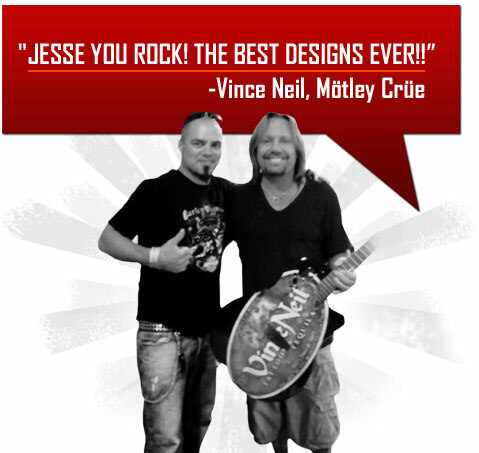 One of Jesse’s passions is creating cutting edge eye candy for motorcycle enthusiasts worldwide.